We've just moved in and so far it's been great. The office staff was helpful and friendly and the grounds are beautiful. They just added a kids play area and are making more improvements around the property. Love living here. The staff is awesome. Neighbors have been nice. Everyone is friendly but not nosy. The amenities are great too! So glad I found this place. Staff was great and apartment was nice and clean when we moved in. The staff made sure to meet all of our needs before and after move in. It was a great experience and we already taking our friends to move here. This community is amazing. Maintenance is very fast and helpful. My only complaint is that parking is a little limited. It’s also very peaceful. An ever-updating community. I have very few problems with this community and am very pleased with the location and the updates that are being made. 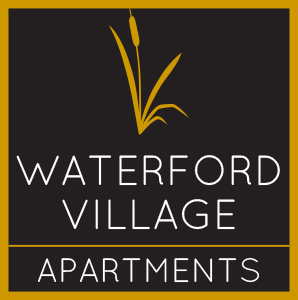 I would recommend living in Waterford Village. Very Pet friendly. The first apartment I live in this community, the neighbours is very noisy. I complained several times, but it took a long time to solve the problem. It improved much better after they switch a new one for me. The apartments are nice. The parking is really difficult sometimes, but it is a quiet area for the most part and we haven't had too many issues. It is a good place to start out. I love living here so far! The grounds are well kept. The Maintenance is fast and friendly. The front desk staff are very helpful and caring. Over all a great place to live! Staff is great, good amenities, and friendly neighborhood. Do have some issues with how parking is laid out on the streets of apartments. I have had a great experience here so far. Friendly staff and neighbors. Limited noise in the house. Good amenities and the perfect amount of space. Plus it’s dog friendly!! We have been here almost two years now, and we love it every bit as much as we did when we first moved in. We so appreciate the lovely grounds that our child may play and so we can walk our dogs. Our apartment is beautiful! I recently moved here and so far I have not had any major issues. They fixed the issue with my refrigerator that was causing water leakage. The only drawback for me is the size of the apartment. I wish it was a little bigger and had more storage options. Waterford Vilage is an awesome place to live. Management and maintenance are always available to help if needed. The rooms are large for the price and are very spacious. Only lived here for a week, however in this week we've received maintenance requests the next day and enormous help from the ladies at the desk. It's been really fun, thank you. I really enjoyed myself and the fish in the stream is really dope. I like the fast internet and the gym is a good break from dark souls. So far there have been minimal complications; rent is a good rate for the size of the apartments, and it's decently quiet. Maintenance is nice and prompt; as well as the office staff. Maintenance has been quick and thorough thus far. The online portal makes paying rent a breeze, and the office staff have been very quick and helpful with any and all questions that I have had thus far. I really like living here. Neighbors are friendly. Office staff is helpful and pleasant to deal with. Maintenance issues handled promptly. Just got new windows and patio doors! It is really a nice place to live. The apartment community is so beautiful. Grounds are relatively well taken care of. The dog park and front lawn are so expansive and our pup loves running around! Overall, one of my favorite places I’ve lived in Knoxville. Thank you so much for your review, Brittani!